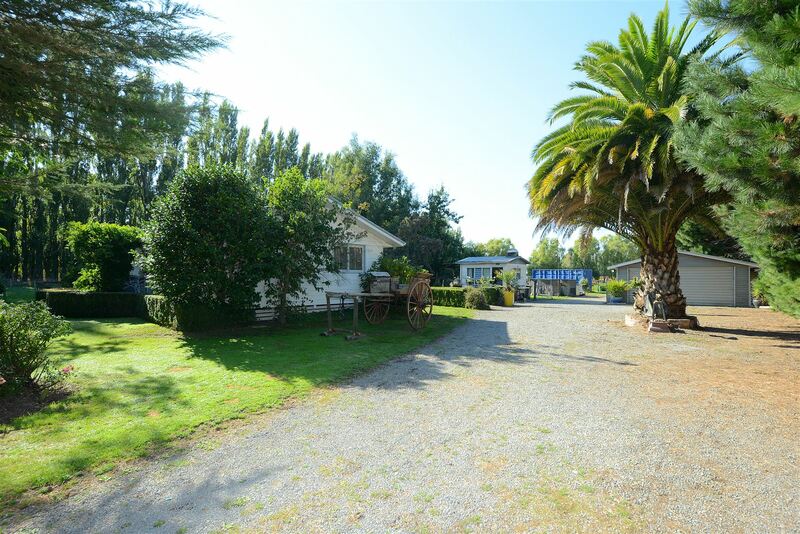 This 1.5ha of land is very seriously for sale in Halswell and is sub-dividable with a location that is equal to none. Under ten minutes to town via the motorway or 5 minutes to the shopping precinct in the Longhurst subdivision, boasting so many new shops and development in this area. This welcoming home that has a lovely cottage feel with a well-loved deck complete with the sun shade sail, this area is here to unwind and relax after your busy day overlooking the mature gardens and out to the horse pens and paddocks. For the Canterbury colder days there is the Woodman Blaze compliant fire place to keep you toasty warm. Implement/workshop that is currently half been used as a studio, plus double garage, and variety of out buildings so no shortage of storage. Fully fenced for horses with troughs throughout and an enclosure for the chooks/ducks. With my owners needing more land for the horses this is definitely on the market and with the new Copper Ridge development over the back fence, this is your opportunity to either enjoy your piece of paradise and at the moment and to sub-divide down the track or start the process now. Either way, whatever you want to do, make your decision and call me for a private viewing during the weekdays or I look forward to meeting you on Sunday at the open home. Dogs onsite, viewing by appointment only. Chattels remaining Blinds, Fixed floor coverings, Light fittings, Stove, TV aerial.